Download now on Android, iOS, and Windows devices! We're getting ready for the Web release! 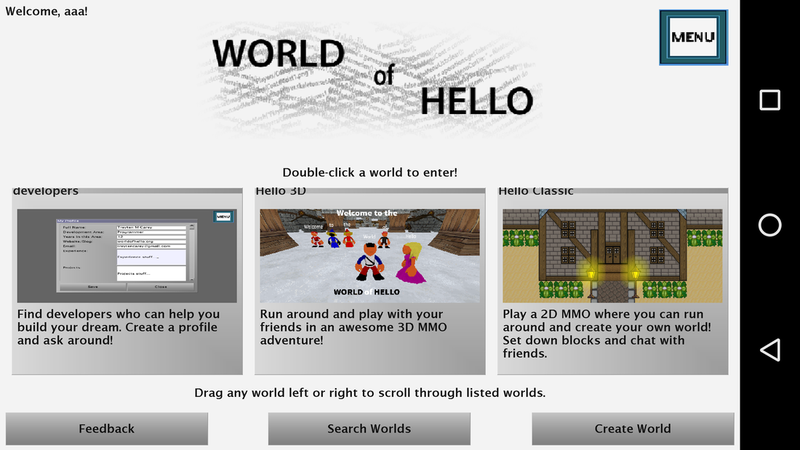 World of Hello has been quickly expanding -- and it shows! We plan to expand into web development, allowing you to design games that work in browsers, or websites that can be downloaded as apps. 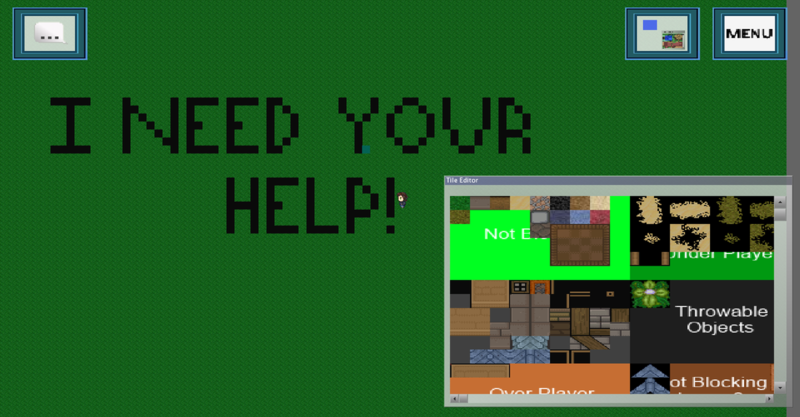 World of Hello needs your help! We can't run for free without your help! Donations go toward server costs, which will in turn help fund me to educate children and students. If you're genuinely interested in this amazing tool, please consider donating! What is World of Hello? A real-time online mobile and PC app maker. A place to learn real-world development, and even create software for a business or for fun! A game engine with full 2D, 3D, and advanced networking support. Whether you're on mobile or PC, you can collaboratively build applications in real-time alongside others. Set user permissions to allow anyone to code, upload files, or just to view. 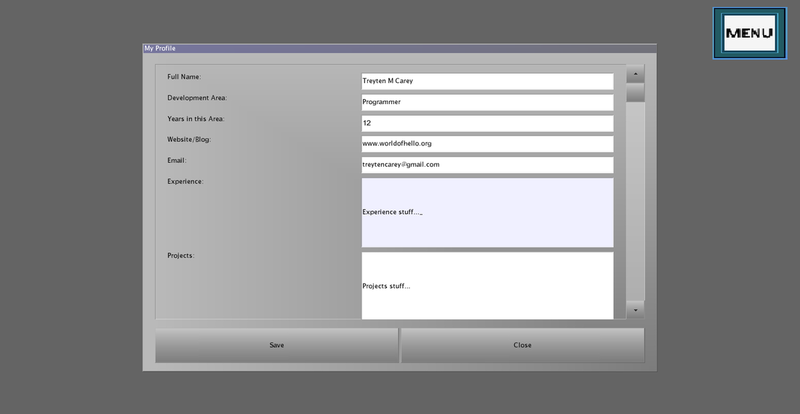 You can also set all user permissions if you'd like everyone to contribute. Don't worry about staying out of the loop on image and 3D object files, regardless of the device you're on. Any time you upload a new image, all clients using the image will get the update instantly! 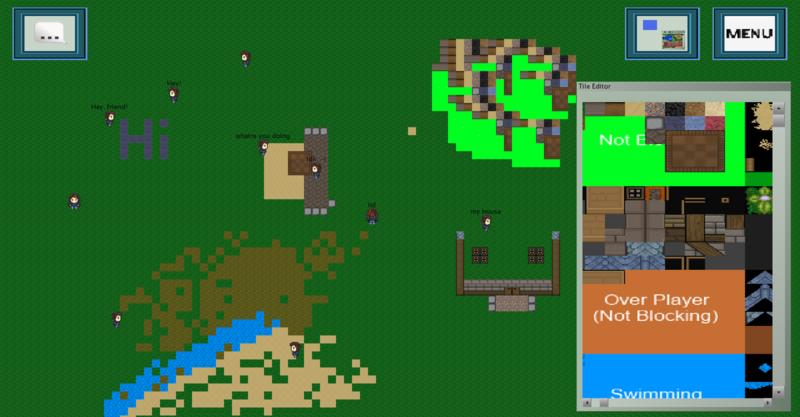 Creating an online game? We support all the tools you need. 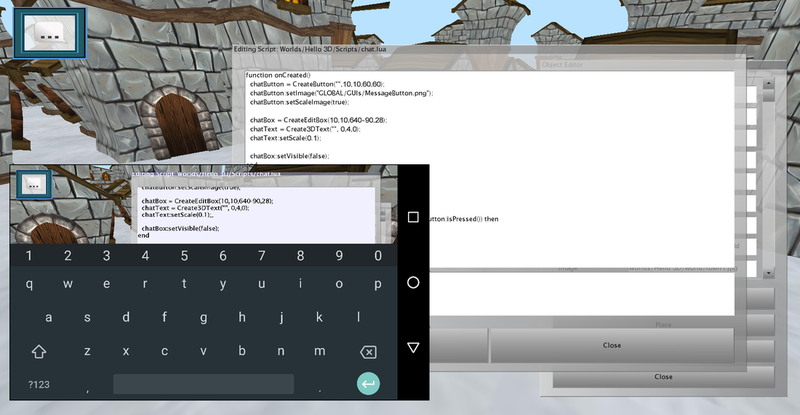 With one line of code, you can create online, real-time, objects! Store client information in our servers, or create your own "dedicated server." Yes, that means you can build apps using your mobile device instead of a computer. Offline? Continue coding your software, and we'll update your app for everyone to see when you next connect. Check out the video tutorials to see various World of Hello possibilities. Perhaps you'll learn something fascinating! Click HERE to join the World of Hello Discord server. ​Or click HERE to join the sourceforge forums page! What is World of Hello's Goal? World of Hello is a real-time development system that promotes development and creativity in younger generations and organizations. That's why World of Hello allows you to build free applications that require no third party licensing! I've designed a very efficient networking server, and gave you hundreds of tools to use for free that would've greatly helped me out many years ago. Even if you're not new to coding, or you are a business, World of Hello has several advantages over other software, including real-time coding collaboration. The ultimate goal is to teach the world to code. From the average person, to children and students, to inmates looking to contribute to society, everyone can learn to code. teach the world to code! World of Hello is still in development stages, and we need your help to make it the best app possible! If you are genuinely interested in this software, please donate to support your development community where I will teach the world to code.